Seriously. Stop using M.S. Internet Explorer Browser. A courtesy post . If you’ve stopped using MS I.E. — move on, read no further. I’ll post again when the flaw is fixed. Windows XP is DOA for computer interconnection. But it’s use doesn’t need to end. But I was asked by a client to clarify the I.E. issue , and so evidently confusion remains. Microsoft Internet Explorer Web Browser is seriously flawed. The US and UK Governments have warned their citizens to not use the software. See this article at CNet.com for more details. You should be using Google Chrome, Firefox or Safari browsers until this is patched. Rumors of patches being ready, are at present, untrue. Stop using Internet Explorer browser — regardless of the OS you’re using. Respond / Comment on this post and I’ll answer your concerns. Posted in Best Practices, Security, Tech News.Tagged Flaw, security, Windows Internet Explorer. 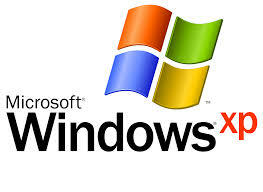 Next Post MS to patch IE for Windows XP.